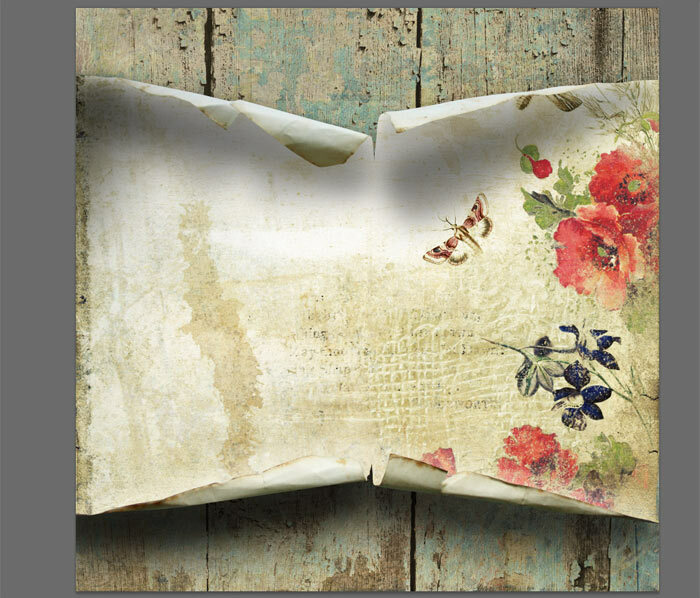 I’ve got a few emails and questions regarding a Curled Paper that was included in my Thinking Of You page Kit. 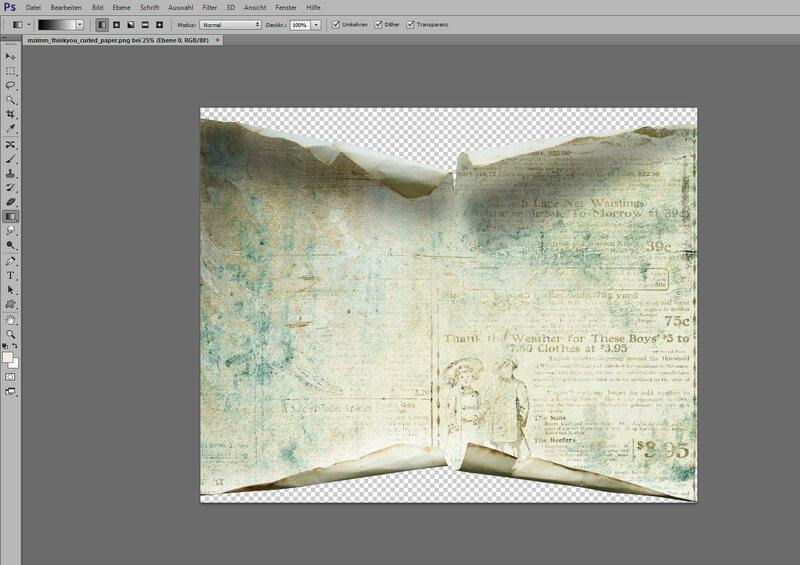 This curled paper comes in .png file format so you can use it as is but also it comes in layered .psd format so you can add your own paper, texture or even a photo and there were a a few questions I received on how to get it to work. So I decided to post a public tutorial here now. 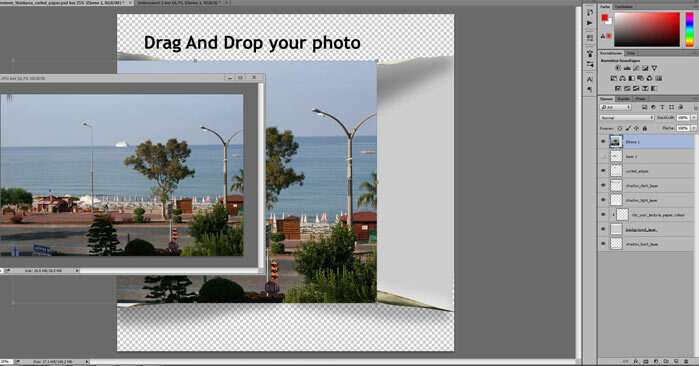 The screen shots below are made with Photoshop PS CC but for Photoshop earlier versions and Elements it should work the same way or in any other graphic program. 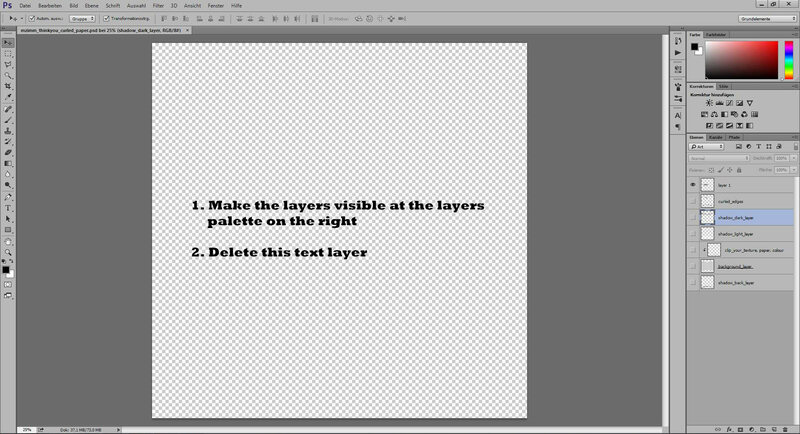 2nd – make all the layers visible on the right in the layers palette. I made them invisible for making the download file size smaller. 3rd – Open the photo (or paper/texture) you want to use. 4th – Now you just need to move the photo directly on top of the curled paper layer. 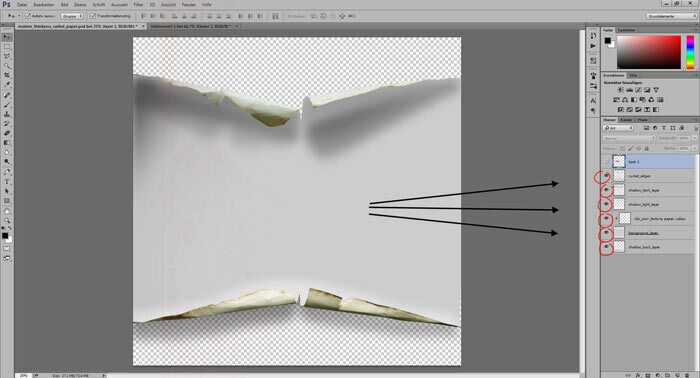 you have to make/create a clipping mask. But it really should work automatically. 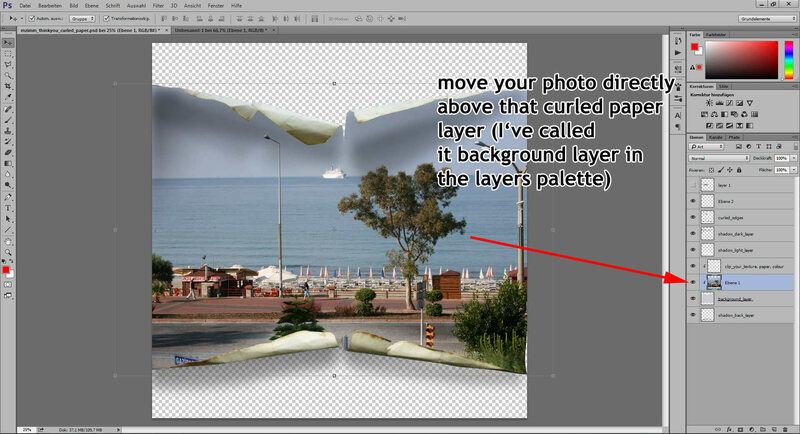 You can combine all the layers to one layer and continue working now.